Thank you for being a friend, Etsy. 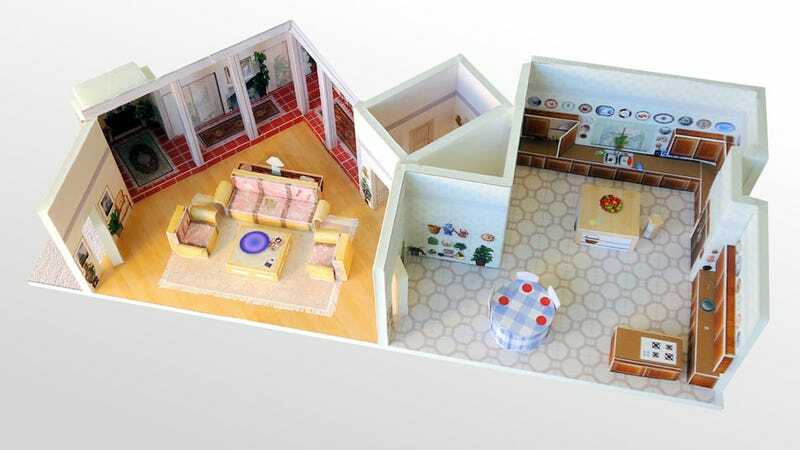 A seller on the online marketplace has created a scale model of 6151 Richmond Street, aka, the Devereaux, Zbornak, Nylund, and Petrillo residence. Check out pictures of the detail-oriented play set. Primarily featuring the living room and kitchen (sorry, there's no lanai or Blanche's leafy bedroom), the Golden Girls' replica has plenty of easter eggs for super fans of the show. The house also comes with four 1-inch standing paper dolls of the girls. Priced at $179, there's only one for sale, so you better act now or it's Shady Pines for you!